SETsquared Surrey member Cortirio have secured funding from DASA. Cortirio are developing a portable, wearable headband that can image bleeding within the head. The MoD’s Defence Science and Technology Laboratory (Dstl), through the UK Defence and Security Accelerator (DASA), is funding the development of additional features for Cortirio's device that will enable automatic detection of head injuries at the scene of an injury. This project is one of a number of Projects funded under DASA’s Open Call for Innovation. 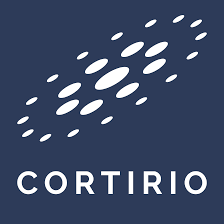 For more information on Cortirio, please do visit their website.